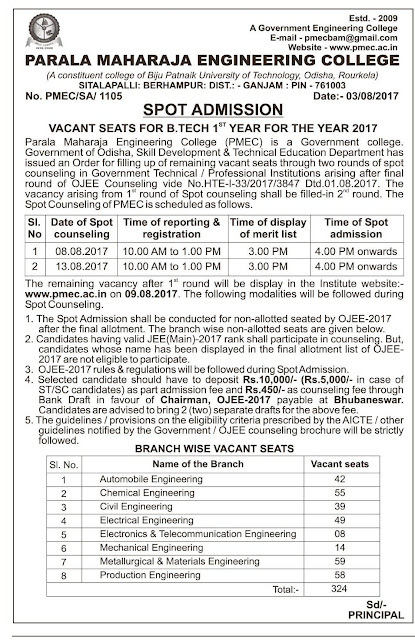 PMEC Berhampur B.Tech Spot Admission 2017-18 For 324 Vacant Seats. 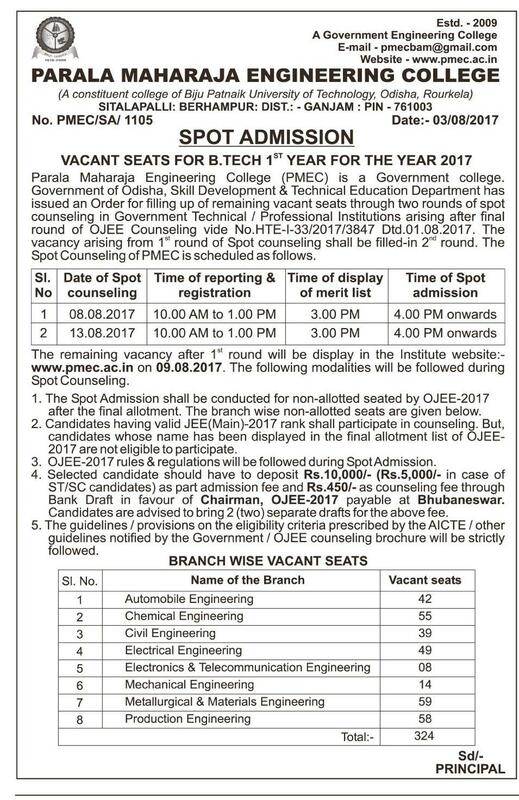 Parala Maharaja Engineering College Berhampur Published Admission Notification for Vacant Seats in B.Tech Courses. Now those Vacancies will be Filled in Spot Counseling. Interested Candidates Can take Admission into Direct Spot Counseling. Interested Candidates Can Take Direct Admission into B.Tech Courses they need relevant Document and Required DD/ Cheque Course Fee.